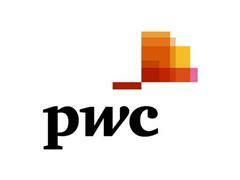 London, 28 June 2018 – The market capitalisation of the 100 largest companies globally has increased significantly by $2,597bn or 15% compared to 31 March 2017, according to PwC’s Global Top 100 ranking, released today. This rise comes on top of a 12% increase in 2017, and the total capitalisation continues to grow, year on year, since the global financial crisis. Forty eight percent of growth in the past year has been contributed by US companies, on the back of strong economic conditions and their pre-eminent position in the technology sector. Europe registers an increase in market capitalisation for the second year running, with its market share remaining unchanged. For the fourth year running, the US accounts for more than half of the Top 100 (54 companies, down from 55 in 2017). It also weighs in with 61% of the overall market capitalisation, down from 63% last year. Amazon is the strongest performer in terms of absolute increase in market capitalisation, gaining $278bn or 66% in value compared to 2017. It’s followed by two Chinese companies: Tencent, up by $224bn 0r 82%, and Alibaba, rising by $201bn or 75%. The next three highest performers in absolute terms are all from the US – Microsoft, Alphabet and Apple. Despite coming sixth in terms of absolute growth in value, Apple retains pole position in terms of market capitalisation for the seventh year in a row. However, its lead over Alphabet in second place has narrowed by 25%, to $132bn from $175bn last year. Apple has also returned more cash to shareholders than any other company, handing back another $31bn to investors in dividends and share repurchases in calendar year 2017 (having distributed $29bn in calendar 2016). JP Morgan Chase ranks second in term of value distribution with $24bn, up from $18bn the previous year. Turning to sectors, technology remains ahead of the financial sector in market capitalisation for the third successive year, with consumer goods in third place. The global top three are still technology companies – Apple, Alphabet, Microsoft – followed by Tencent in fifth position and Facebook in eighth, down from sixth last year. European companies were especially hard hit a decade ago by the global financial crisis, and have seen fluctuations in their market capitalisations since then. However, the past year has seen Europe sustain its recent recovery, with the number of European companies in the Top 100 rising from 22 to 23, and an increase of $331bn in their aggregate market capitalisation. Despite this improvement, Europe is still significantly below the 33 companies it had in the Top 100 in 2010. And its 17% market share in 2018 – while unchanged from 2017 – is down from 27% in 2009. The market capitalisation of the companies from China in the Top 100 leaps by 57% compared to 2017, with 12 Chinese companies making the Top 100, up from 10 last year. Hong Kong contributes another two companies, up from one in 2017. In terms of absolute increase in market capitalisation, Tencent is the leading Chinese performer in 2018 for the second year running, and the second highest overall after Amazon, increasing its value by 82% to $496bn. Alibaba is the second highest performer from China and third overall, increasing its value by 75% to $470bn. These strong increases have pushed both companies into the Top 10 in terms of market capitalisation, with Tencent rising to fifth and Alibaba to seventh. PwC’s Global Top 100 analyses the Top 100 global companies by market capitalisation and compares how the list evolves year-on-year. We analyse trends to understand the impact of external political and economic events and identify the risers and the fallers, look at sector dynamics and present a view on how the global landscape has changed. This analysis was conducted as at 31 March 2018 and 31 March 2017 and captures companies’ market cap in US$, based on their location. All market data is sourced from Bloomberg and has not been independently verified by PwC.